I need some new skis. So I decided to do some research to find out how to go about it, i.e. choose some new skis. The last pair of skis I had were some K2 Recons, 184 cms long and about 80 cms wide at the waist. I think they may have been the right length for me but seemed a bit dead without a lot of spring in them. Before that, I had (and still have) a pair of 175 cm Salomon Scrambler 6’s. 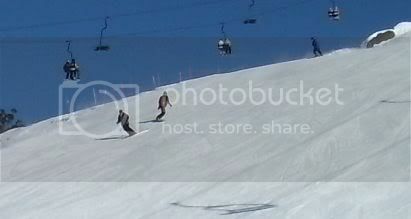 They are more of a carving ski and went really good on piste. They are probably just about right for Australia which does not get a lot of powder snow. With my height and weight, I reckon a 175 is the correct length for me, then add another 5 cm for handling off-piste and powder and I am thinking that 180 cm is probably a good length ski for me. As for waist width, I think 90 cms is about the correct size for me. A ski with a 90 centimeters waist should give me enough phatness to float me in powder and be able to ski them on the pistes or to get down a mogul field if I get stuck above one. I hate skiing bumps – for me, they are just annoying. The other important factor for me to consider is my skill level. I think I am an advanced intermediate to advanced skier. But really I have no true idea of my skill level and I do not know how one ascertains this. So, to start off I had a look at the ski.com ski chooser tool. I looked up my weight and height, then chose what I want to ski – 75% off-piste and 25% on-piste. Also, I want to go skiing in either Japan or the USA, which have a greater potential for off-piste and powder skiing. If I was choosing a pair of skis for Australian skiing, I would probably go for a length of 175 cms and a waist of about 80 cms. And something that had a decent amount of spring or responsiveness in it. At 180cms, they are 122/92/115 with a radius of 22.6. The Rossignol S2 has a versatile light core which is made from poplar and fibreglass laminates which gives the skier easy handling and responsiveness. They are 50/50 Piste and powder. They are mainly designed for use in the park as well. They have softer flexing tips and tails and a stiffer mid-section. The Line Prophet Flite is a great powder and groomer ski and is the twin brother to the Prophet 90 but much lighter and livelier. They have a lot of flex and carve smoothly. They are ideal for an intermediate skier moving up to an advanced skiing level. At 179 cms length, the specifications are 125/90/113 with a weight of 2.128 kg. The Line Prophet 90 is an all-mountain ski that can ski anything. It handles well in varying conditions. They are versatile and are great value. With a 90 cm waist it will still float well in the powder. At 179 cm length, the specs are 125/90/113 with a weight of 2.128 kg. The Bicentennial Gardens is just north of Ballina on the Pacific Highway, about 2 kilometers past the lights at Ballina Fair. 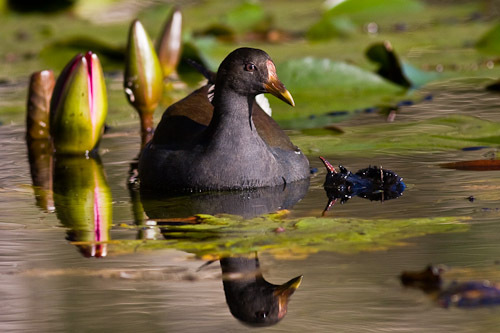 There is a billabong just next to the car park and there were a mob of Dusky Moorhen with some chicks. They seemed quite tame and I think people have been feeding them. 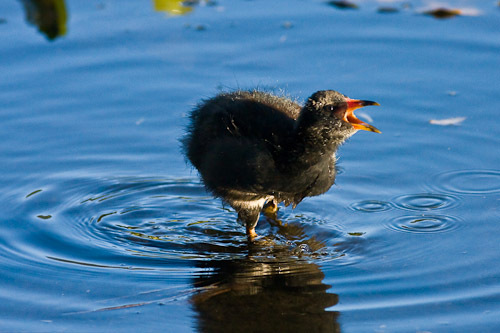 I took a few photos of the chicks and this one is quite nice with the backlighting. And here is an adult. I took a walk around the gardens and saw some Rainbow Lorikeets and a Pied Butcherbird in the trees. Around the billabong was a track through the paperbark swamp and I spotted some White-browed Scrubwren, Eastern Yellow Robin, Grey Fantail and Lewin’s Honeyeater. On the way back past the billabong some Australian White Ibis came very close to me so I took some shots while I had the chance. In this photo you can see their naked ears, nostrils and the pink bands across the back of the neck. They look a bit scary I reckon. To get to Flat Rock drive towards Lennox Head and then turn off at the sign for camping at Flat Rock and drive past the camping area to the car park. I went through the bushes at the car park towards the headland which was comprised mainly of Banskia trees and coastal heathlands. The first thing I spotted was a Rainbow Bee-eater, which was a pleasant surprise, because I only expected Little Wattlebirds and the rest of the usual crew. 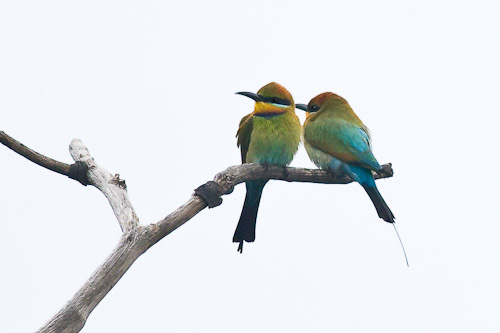 Here is a shot of the male and female Rainbow Bee-eater together. 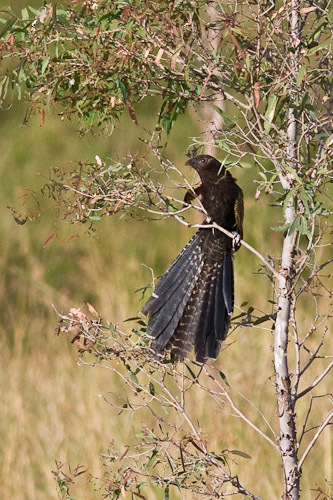 The male has very long fine tail feathers with small clubbed tips, whilst the female on the left has shorter, thicker tail streamers. 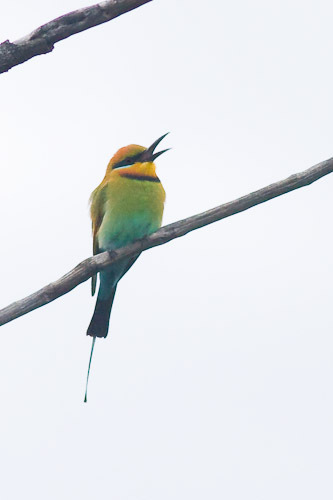 The juvenile Rainbow Bee-eater has no tail streamers, a brown eye, lacks throat bands and has a greener crown. 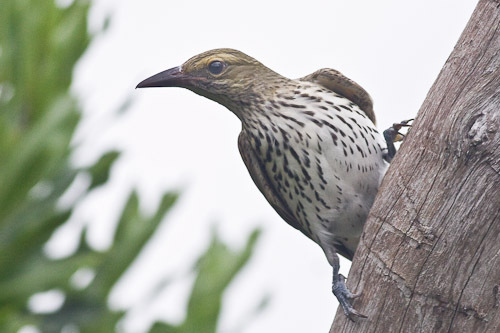 There were also a few Lewin’s Honeyeaters, White-cheeked Honeyeaters and an Olive-backed Oriole. After my tromp through the coastal heath, I headed off to the headland, where I spotted quite a few non-breeding and Juvenile Crested Terns as well as a juvenile Australasian Gannet. At the end of the rock shelf were a mob of Ruddy Turnstones and Red-necked Stints foraging for their brunch. A White-faced Heron and a few Little Pied Cormorants were feeding on the rocks as well. 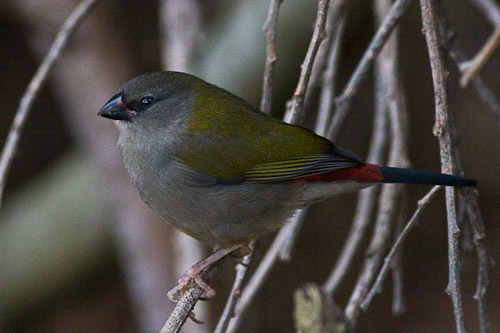 Going back to the car park, I happened upon some Red-browed Finch, and there were quite a few juveniles amongst them. 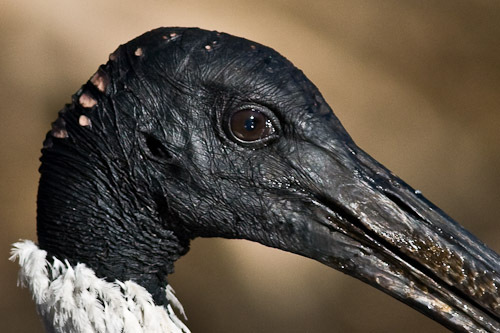 The juveniles do not have a red bar across their eyes. Just before the end of my sojourn at Flat Rock a Whistling Kite flew over and circled the rock shelf and then flew off down the coast. A noisy mob of Rainbow Lorikeets also made a less regal exit going the opposite direction. 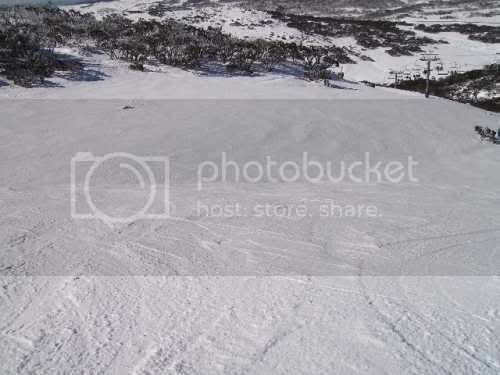 Perisher Blue Ski Resort in the Snowy Mountains of Australia is made up of 4 resorts – Perisher Valley, Smiggin Holes, Mount Blue Cow and Guthega. There are 47 lifts and the highest point is at about 2000 meters. Perisher Valley is around 30 kilometers from Jindabyne by road but it is much easier to go via the Skitube from Bullocks Flat. You will probably need a car to get around but quite a few of the workers hitch-hike to work so that is a possibility as well. Smiggin Holes is mainly a beginners slope with around seven lifts. It is lower down, so the snow melts earlier there as well. A lot of the package deal accommodation is situated here. There is a hotel here and lodges such as Heidi’s. To get over the hill to Perisher Valley you can catch the free shuttle bus, which runs all day or hop on the Link T-bar, ski down the Piper lift and up the Telemark t-bar to Front Valley in Perisher. 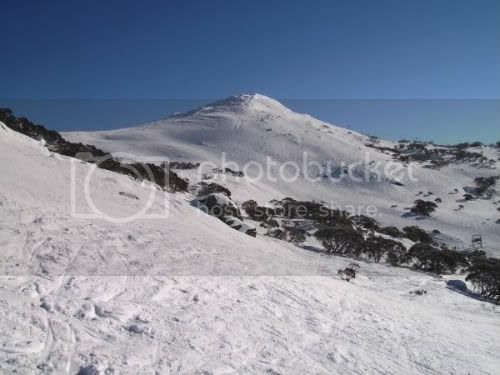 Perisher Valley is the largest area with a number of different sections. Front Valley is where the beginners ski, Centre Valley has a few more runs and Mount Perisher probably has the best skiing with lifts like the Eyre and International being the most fun. The Skitube goes all the way to Blue Cow which is mainly a beginner’s area. Hop on the chair lift to Mount Blue Cow and give Zalis run a go if you are a speed freak. Getting to Guthega and back again is a bit of an annoying traverse but the trees over at Guthega are supposed to be great when its snowing. But you have to get there early. As regards sleeping, there are lots of lodges etc. Make sure that you book way in advance for these. It is probably cheaper to get a package deal with beds and lift tickets all included. There are two camping areas in Jindabyne. The Jindabyne Caravan Park is right in town and the Snowline Caravan Park is about a kilometer out of town on the turnoff to Thredbo. The Snowline has bunk accommodation ar around $45, cabins are $60-150 and camping is $30-45. They also have a communal kitchen and TV room. There is also a great camping spot at Sawpit Creek halfway up the mountain. This has a camp kitchen and fireplace which is very cosy, and also a drying room for the wet skiing gear. You can camp for free at Thredbo Diggings, which is about a kilometer past the Skitube going towards Thredbo. But make sure you take chains as it is slippery to get out of after a dump. There is also a camping spot on the road to Guthega. Ski lift prices are horrendously expensive in Australia. Day passes cost more than a hundred dollars. The best deal for a ski bum is to get a Perisher Super Pass which costs $1400 in 2010. This season pass includes the Skitube, which is a must and you can also ski at Mount Hotham and Falls Creek for free that season. I recommend a camper van or RV and the Perisher Super Pass for any aspiring ski bums. It is the only affordable way to ski a whole season in Australia. Skiing in Australia is very expensive, so be prepared to put your hand in your pockets and shell out the hard cash. There are opportunities for ski bums to ski the whole season, but you have to be smart. The other way to get some skiing time in is to get a job, but these are sometimes difficult to find, especially liftie jobs. If you are from the northern hemisphere and want to ski all year, the possibilities are Australia, New Zealand or South America. For hard-core powder hounds from the north, the only places that I would recommend in the southern hemisphere would be Las Lenas in Argentina or Portillo in Chile. 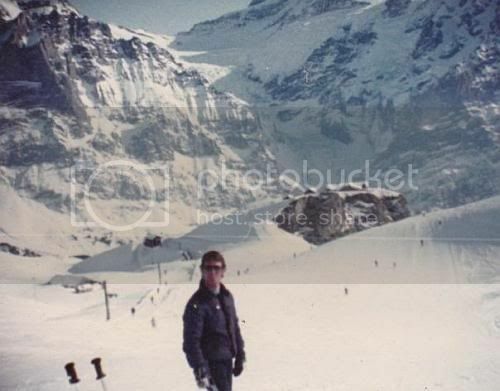 I went to Grindelwald in 1983 and skiied there for a couple of months. When I arrived in December there was no snow, so I stayed in Interlaken down the mountain, waiting for the snow to come. Interlaken has a couple of hostels and is quite a nice little town with a lake nearby. There are 11 hostels in Interlaken, ranging in price from $20-30. I hitch-hiked to Paris just before New Years and spent a great time on the Champs Elysees celebrating the New Year with some fun Argentinian people that I met. When the snow finally did come in January I moved up the hill to the Youth Hostel. Today there are three hostels that I can find in Hostelworld.com, ranging in price from $35-45. We also stayed at the Naturfreundhaus for a while. If you want more luxurious accommodation, there are heaps of swanky hotels and lodges in Grindelwald. As for accommodation for the whole season, I have no idea, but I am sure you could find a little room somewhere at a reasonable price. As for the skiing, it is wide open. There are kilometers and kilometers of piste on either side of the valley. On one side (First) you have wide slopes and mountains and on the other side, you can ski underneath the north face of the Eiger at the Kleine Scheidegg and ski down into the next valley at Wengen. There are about 30 ski lifts, which comprise cable cars, chair lifts, T-bars, etc. Lift Prices approximately range from about $60 per day to $500 for 14 days. You can get many configurations of ski pass. The Jungfrau Sportpasses covers the whole area, Grindelwald-Wengen, or the Mürren-Schilthorn pass. To get to Grindelwald, you first need to get to Bern. Berne is a very old city and you could probably spend a day or two wandering around the old city marvelling at the medieval atmosphere. I think they even have the old bear pits, from which the city gets its name. From Berne, travel to Interlaken, and then up the mountain to Grindelwald. The skiing season in Italy usually lasts from December to late March. You can also ski all year on the glaciers in such places at the Marmolada Glacier in Trentino, Alta Adige and Mont Blanc and the Valle d’Aosta. Cortina is in the Ampezzo Valley near the north-east border with Austria. 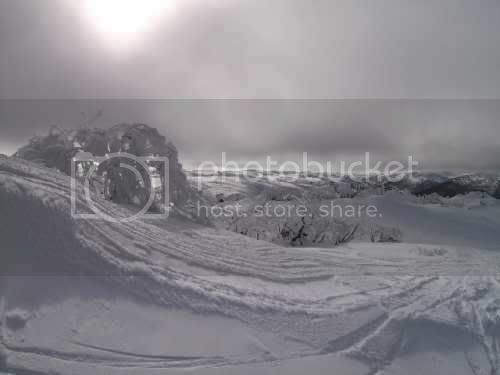 It is part of the Dolomiti Superski Region. The top station is at 3243 meters and the base is at 1224 meters. That is a fabulous vertical drop of more than 2000 meters. There are 5 cable cars, 24 chair lifts and 8 surface lifts. Season Passes for the valley are around 500 Euros or more and the Dolomiti SuperPass is approximately 700 Euros. The village is at 1522 meters. Local Season Passes are about 500 Euros. The Hotel La Felce has beds from around 37 Euros. The San Lorenzo in Banale (18kilometers away, Nembia Apartments) has beds from 11 Euros. San Martino di Castrozzo is in the Trentino region. There are 22 lifts. The Ostello Dolomiti offers shared rooms for around 30 Euros. There are buses from Trento or Bolzano. Bardonecchia is a small ski resort in the Italian alps, located in the west of Italy, with the highest point being at about 2750 meters. Canazei is in the Val di Fassa, www.fassa.com. Val di Fassa local season passes are 400-500 Euros. German is spoken in the valleys. The tourist office website is at www.alagna.it. The nearest train station to Alagna is Varallo Sesia. The Ayas Gressoney and Sesia Valleys from the Monterosa Ski Area. From Alagna Valsesia a cable car climbs to the Punta Indren at 3260 meters. You can get a train or bus to this area. The ski area is about 2050 meters and goes from the Valle d’Aosta to the Matterhorn. Smaller ski resorts are Antey St-Andre, La Magdaleine and Valtournenche. You can get a bus to here. Local season passes are more than 200 Euros while season passes that include Zermatt in Switzerland are more than 600 Euros. Corvara is in the area of the Dolomiti super pass, 40 kilometers east of Bolzano. The nearest railway station is the Bruneck (38 km). From here taking the shuttle bus to Corvara Val Badia. From all reports a great place to ski. Part of the Milky Way, the piste are above 2500 meters, there are 92 lifts plus connecting ones between other resorts such as Sauze d’Oulx. Get there from Turin, Oulx, then bus to Sestriere. Solda is in the Trentino area to the west of Bolzano. There are 11 lifts some over 2500 meters. Val Gardena is part of the Dolomiti super pass. Local season pass is more than 500 EUR for the use of 83 lifts. Tarvisio is in the far north-east of Italy near Austria and Slovenia with 11 lifts. Top station is 1800 meters. La Sila consists of two resorts in the south of Italy in Calabria – Camigliatello Silano and Lorica. The highest point is about 1800 meters with about 6 kilometers of piste. Its very basic skiing. Lorica is 11 kilometers away and is a little higher at 1900 meters but only with two lifts. Hotels start at around 40 Euros. There is a YHA in Cosenza for around EUR16. New Dino’s Hotel at San Giovanni in Fiore is 31.50 EUR. 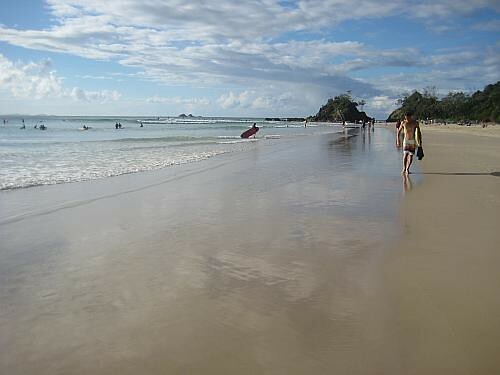 The surf at Byron Bay over the last couple of days has been extremely variable. A small southerly swell has been running and there have been waves from two to four feet, which dropped a bit today. The wind has been coming from the north west yesterday and this morning which made the waves very choppy and bumpy. The crowds have been considerable with sometimes up to a hundred people out in the water at The Pass. The Pass has not changed in forty years. It still breaks the same it always has. This guy was surfing really well. 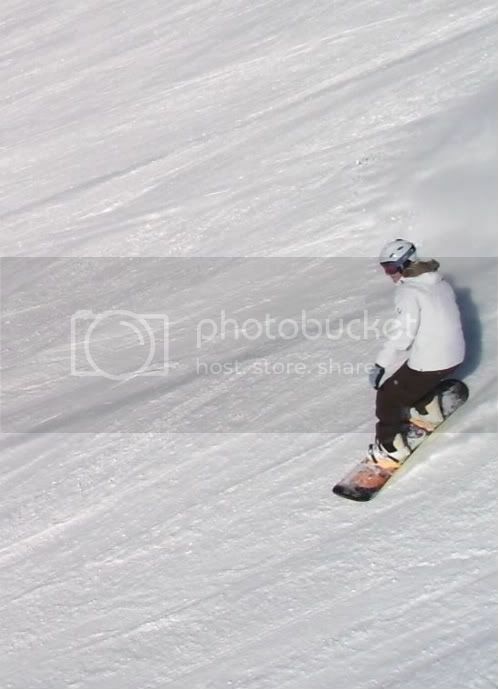 Taking off deep inside and doing some great turns and cutbacks. A lot of guys are surfing fishes and they seem to go really well at times. But I have my doubts. They are very wide and sometimes I think that causes a bit of imbalance or instability. But I think they were meant as a surfboard to have fun on and that is about it. Here is a wide shot of The Pass. I noticed today how scenic it really is. Sometimes you cannot see what is in front of your eyes or you take things for granted. Well, I made it back to Cudgen Creek and once again it did not fail to disappoint. It is a top little spot, with a variety of habitat – from mudflats to coastal banksia and rainforest. When I got there, there were a few Masked Lapwings in the park and some Rainbow and Scaly-breasted Lorikeets in the banksia trees. A few Pied Currawongs were being harassed by some Willy Wagtails and being chased away. Along the bank of the creek there were some White-faced Heron, Great Egret, Little Pied Cormorants, as well as these Little Black Cormorants. 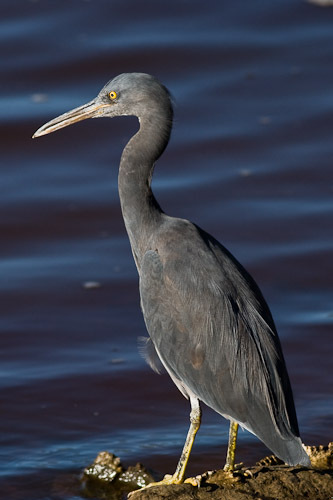 I spotted an Eastern Reef Egret grey morph who was fishing along the rocks. He caught a couple of little ones and was posing magnificently for me. Along the rainforest section, there were hundreds of Scarlet Honeyeaters as well as a few Brown Honeyeaters and some Silvereye. There were having a bath and drink in the knot of a tree until this big bully Australasian Figbird Olive-backed Oriole came along and chased them away so he could have it all to himself. 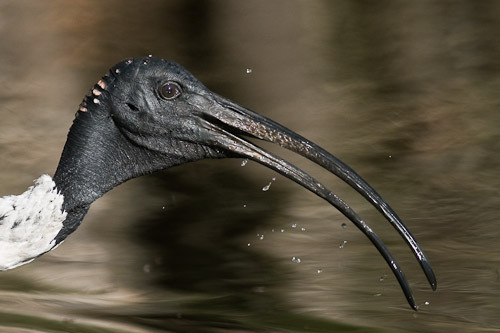 I also managed to photograph a Varied Triller, but the photos did not come out very good at all. 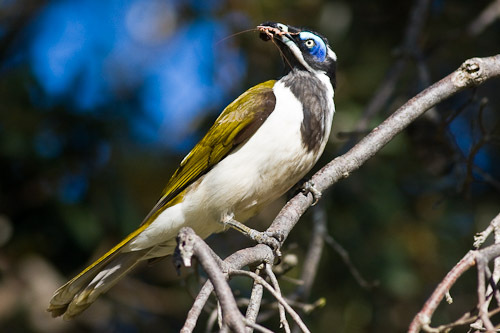 When I got back to the car, I was about to put away the camera, when this Blue-faced Honeyeater flew onto the tree just near me and proceeded to show off what looked like a cockroach that he had hunted. What a proud bird! Well, that is it for Queensland. I am now heading south back into Norther New South Wales. It is starting to get colder now, so I have no idea why I am going south. Next stop is probably Bogangar and Cabarita. Vamos! Today I finally decided to take some photos of the surfing. The wind was from the south so the conditions were ideal for the superbank at Coolangatta. The swell was still a bit small, possibly about two to three foot at the most. Greenmount Point has been the best spot of them in my opinion, but all the banks have been pretty good. Rainbow has some good banks and behind the rock at Snapper has been doing it on occasions. This afternoon I took some photos of the guys surfing at Snapper Rocks, mainly because it is the easiest spot to photograph and get close to the action. There were a couple of stand-out surfers in the water, particularly this guy on his long board. He was riding really well. But at the end he lost his board and it smashed onto the rocks and he was swearing his head off. I wonder why he did not use a leg-rope? doh! This guy got inside a pretty neat little tube, there were not many to be had, so he was lucky to catch this one. To get to the Brisbane Forest Park, you probably just drive west of Brisbane. But I came around the back way, via Caboolture and Somerset Dam. 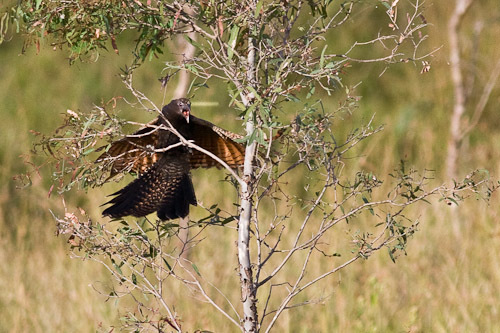 Just before Somerset Dam, I screeched to a halt because I saw a Pheasant Coucal on the road. He was sitting on the fence, so I carefully went to get the camera out, and he flew off down the paddock. By that time, I had the camera going and managed to get a few shots off. I think there is a lesson there. Always have the camera loaded and ready to go. When will I ever learn? 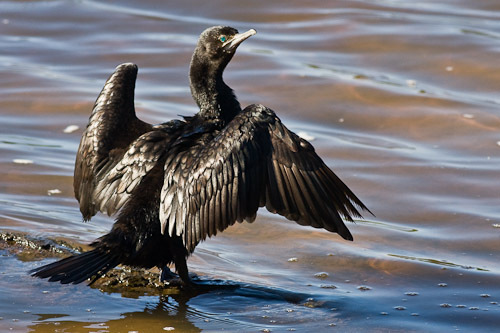 And here is another one with him fanning his tail feathers. Finally I got going and the next day made it to the start of the Brisbane Forest Park from the west, which is Cedar Flats. 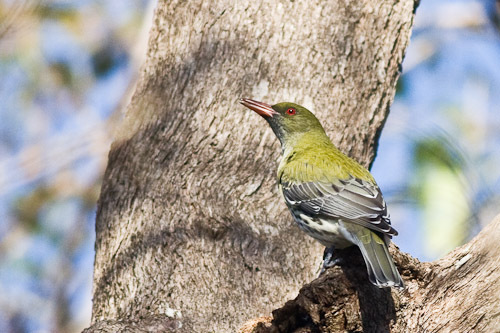 There were a few ravens, Masked Lapwings and Noisy Miner around the park, and in a tree the Scarlet Honyeaters and Brown Honeyeaters were fighting – again! I also spotted some Silvereye and a few Pied Currawong. Then I spotted a pair of Pale-headed Rosella. 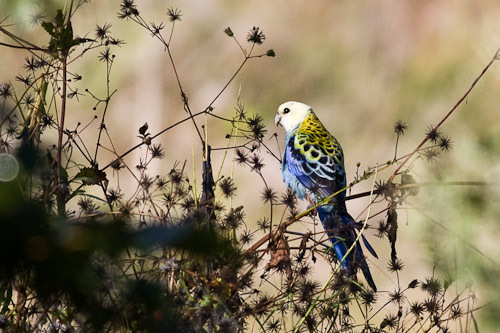 The Pale-headed Rosella is found in the north and is a race, or sub-species, of the Eastern Rosella. I have been looking for one of them for ages, and finally I had my photo. I also photographed a pair of Striated Pardalotes, or as they are commonly called – Black-headed Pardalotes. These ones had a more orange spot above the eye than the ones on Bribie Island. And their heads were blacker. Later in the afternoon I went for a walk along the Pitta Circuit Track at Boombana. I think I saw a catbird but it was too dark to tell. The photos came out really rubbish. I have been wanting to photograph a catbird for years. Curses, foiled again! There were not many birds around. I spotted an Eastern Yellow Robin, Grey Fantail, Brush Turkey and some Satin Bowerbirds, whom I think were eating Blue Quandong. 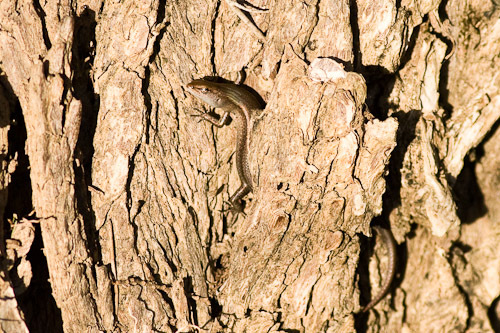 And this lizard, I think it is some kind of skink, was near a creek on the way up to the hills.